Coupons for Intuit Quickbooks Online and Checks: Over 4 million customers choose Quickbooks for their small business and personal accounting needs. In fact, Intuit’s Quickbooks helps customers find an average of over $4,000 in tax savings a year. Speaking of finances, we can help you save even more with our Quickbooks discount codes, deals, and free trials. Try Quickbooks Online free for 30 days, or use a coupon for a 20-50% discount on Quickbooks Pro, Premier, Online, Self-Employed, or for checks! Visit site + use coupon! *Intuit: We also have discount codes for 10-20% off TurboTax here, or 25% off Jackson Hewitt! 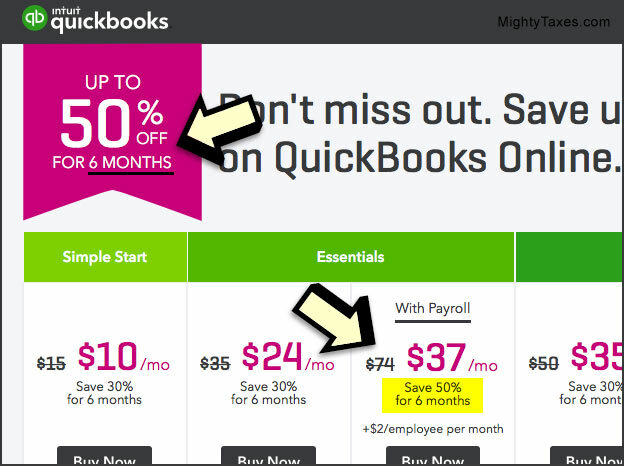 Intuit: Coupons for Checks or Quickbooks Online? 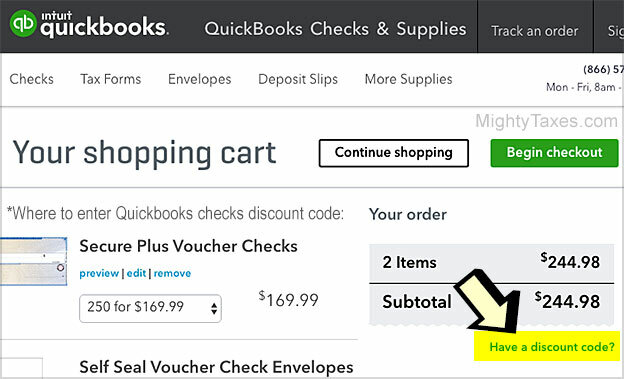 Quickbooks hides where to enter a discount code! That’s tiny! Are they trying to hide the option to enter a coupon code? As you can see, the retail price of the software is crossed out and the new, discounted price is highlighted. That discounted price will renew for either 3 or 6 months, depending on the promotion. Simple, right? This is how coupons work for Quickbooks Plus, Essentials, Simple Start, Premier, Payroll, and Self-Employed. 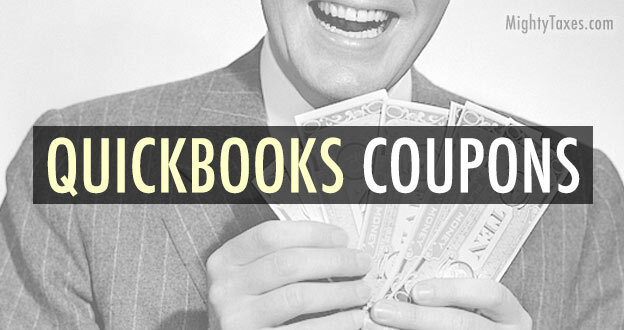 Quickbooks coupons are valid online only, and are not printable. Not ready to buy their software yet? That’s OK. There is a 30-day free trial available for all versions of Quickbooks. Here’s how the free trial works. 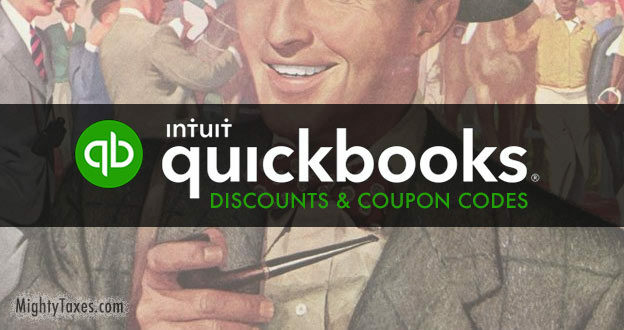 Quickbooks from Intuit: What’s the Best Coupon or Discount to Use? Quickbooks checks: Look for a 20% off discount code! This coupon is good towards all checks including: Standard, Voucher, and Wallet. We update our coupons as soon as new deals or promotions are announced, so please bookmark MightyTaxes.com for the best coupons for Quickbooks, TurboTax, and H&R Block! Manage and pay employees, and much more! Not sure which version is best for you? You can compare Quickbooks Online & Desktop editions here at quickbooks.intuit.com. Need help? You can find tutorials for Quickbooks on Intuit’s website. Thanks for dropping by!